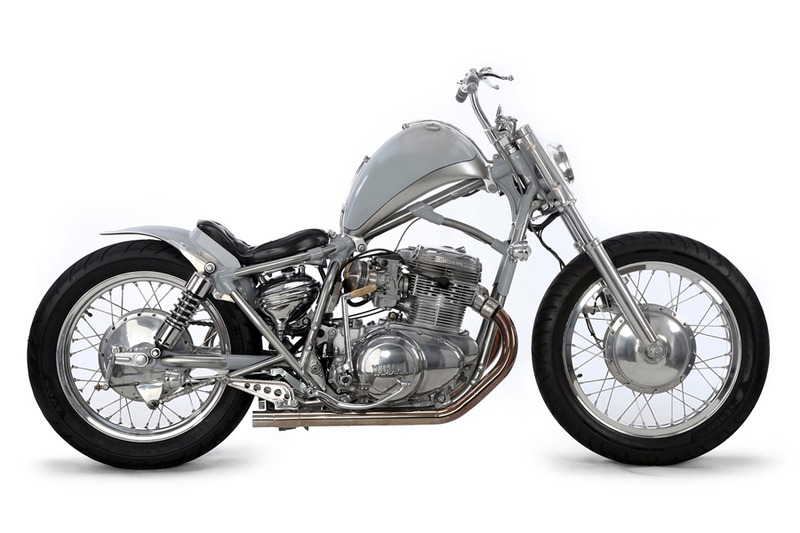 The Japanese custom scene is packed full of passionate custom motorbike builders. 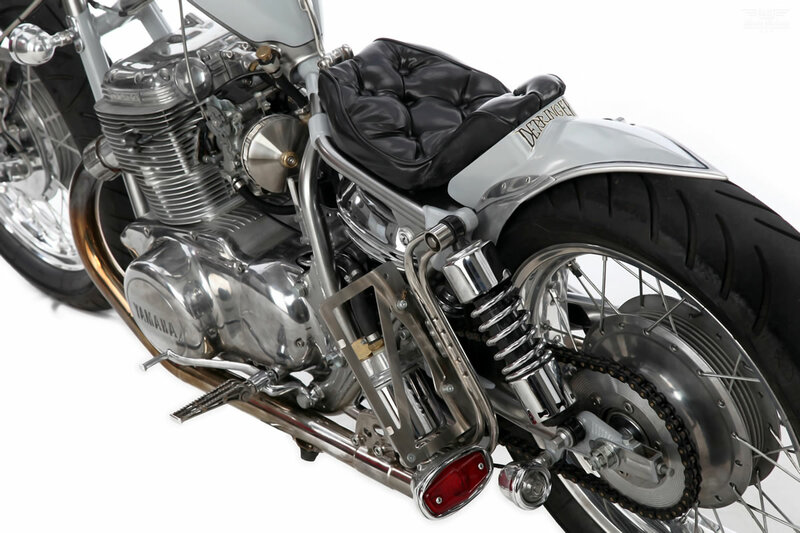 When you take a look back in time it’s not at all surprising; Triumph, BSA, and Norton held a dominant position in the Japanese motorcycle market, until the rise of the domestic manufacturers (led by Honda) in the late 1960s and early 1970s. Today we take a look at an example of that passion; the transformation of a Yamaha TX750, built by Motor Rock, a custom motorbike builder based in Nagoya. Builders like Motor Rock don’t just tinker with a few parts; these guys display amazing craftsmanship and skill. 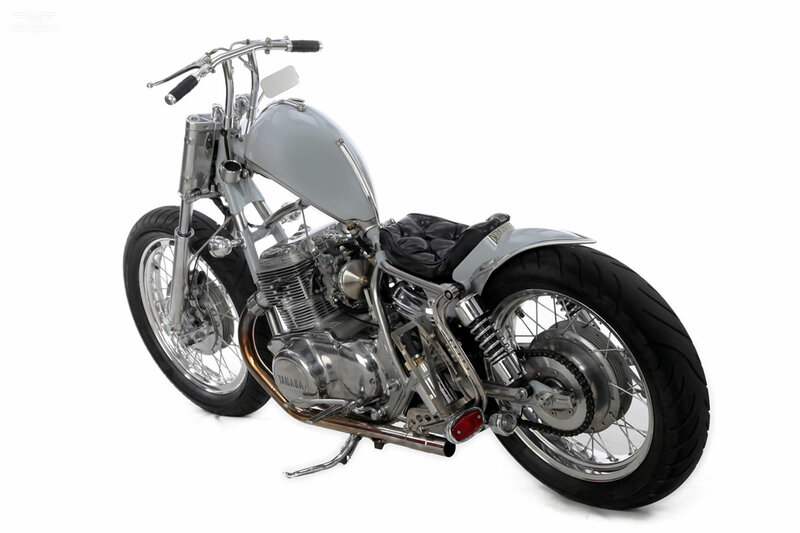 Motor Rock is not just into building one-off custom motorbikes; they also manufacture some tasty custom parts, as can be seen on this beauty. 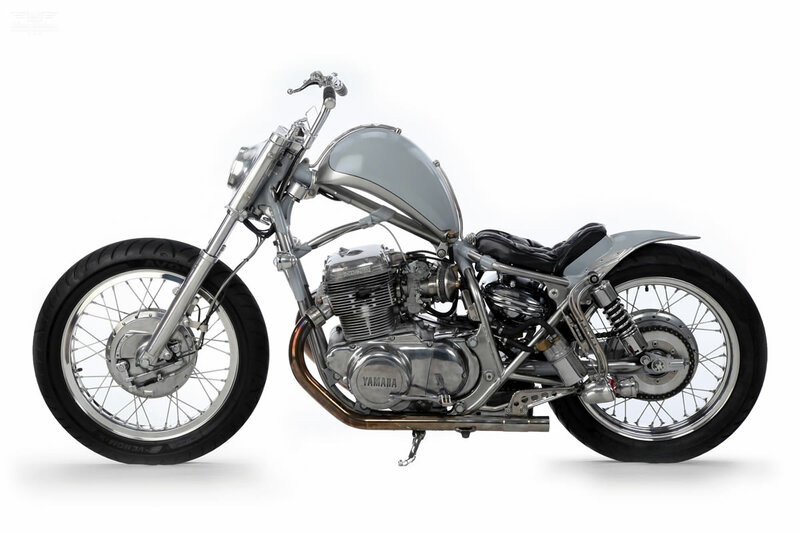 The base for this build was a Yamaha TX750 with an air-cooled, four-stroke parallel twin engine. 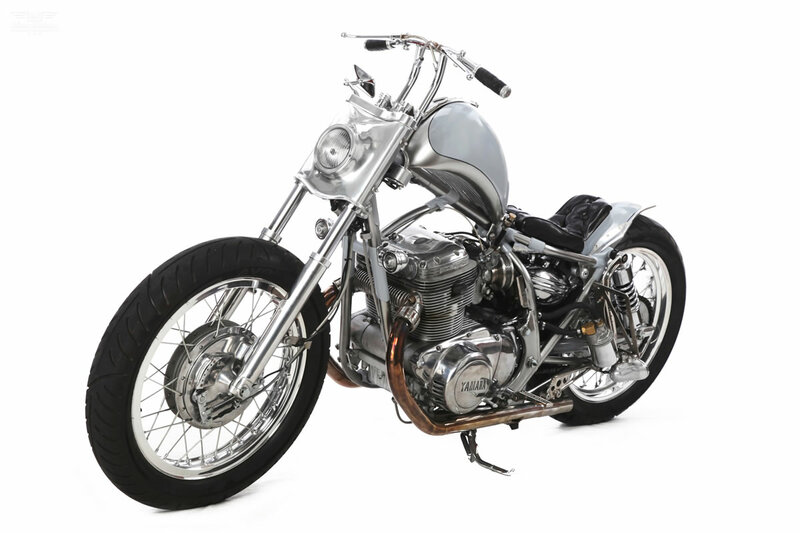 To begin, they made a one-off frame, loaded with mind boggling custom parts, such as the ribbed and polished oil tank, a one-off part tailor made for the bike. 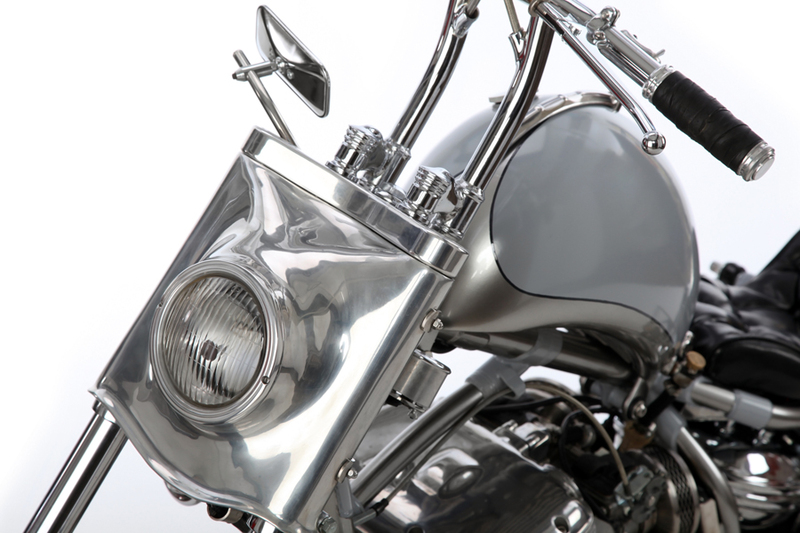 Another example of the craftsmanship is the distinguishing headlight, which was inspired by a Harley V-Rod. 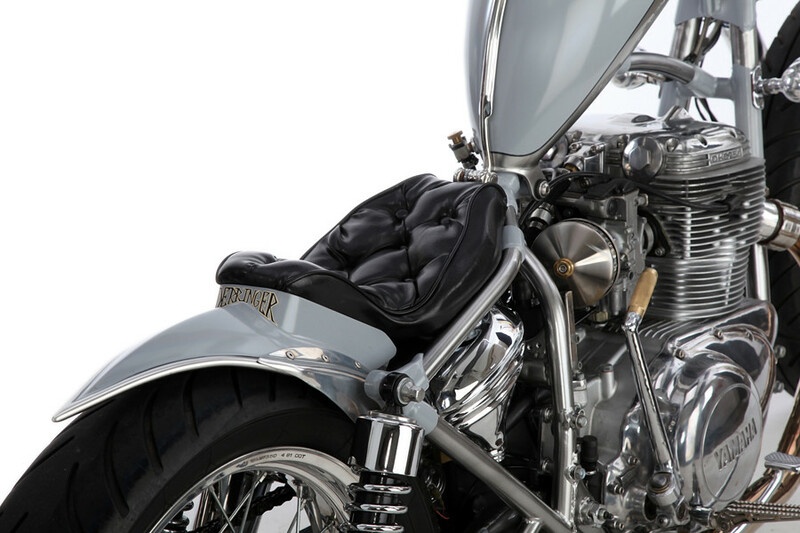 Another interesting feature of the bike is that fuel tank, which was hand crafted from scratch, the entire backward arch structure of the tank is amazing. 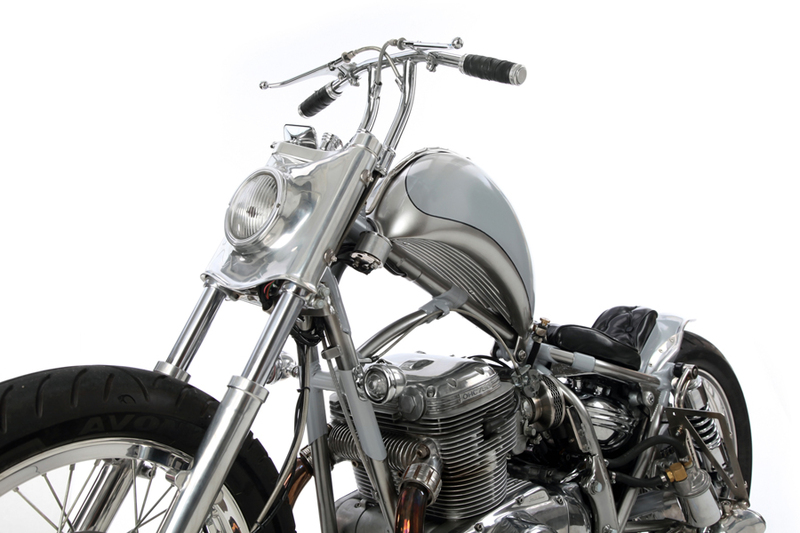 The one-off exhaust system was welded to the frame and fitted with a one-off custom Motor Rock flange, while the number plate has been side-mounted Harley style, sitting right behind is the oil filter. 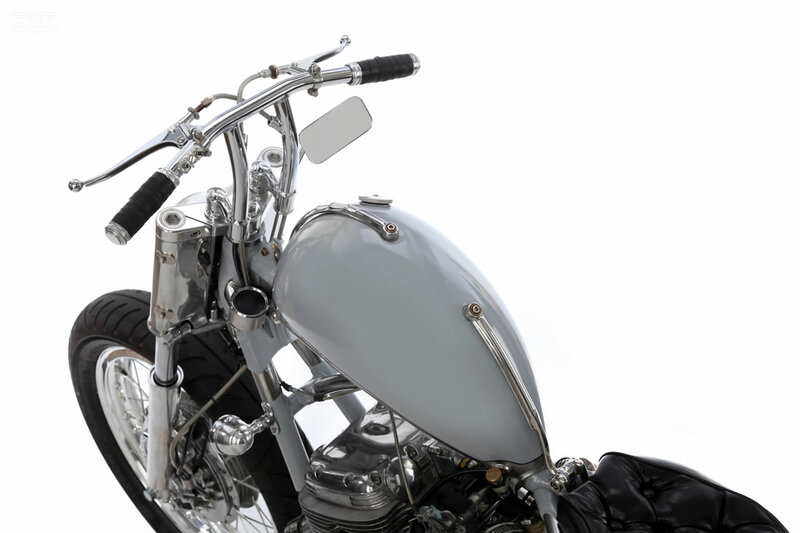 The short handlebars feature Motor Rock 69 switches, a pair of vintage grips and polish levers. The TX750 rolls on 19 inch front and 18 inch rear wheels wrapped in Avon Venom tyres; a progressive rear suspension and a single panel drum brake help this bike to stop.